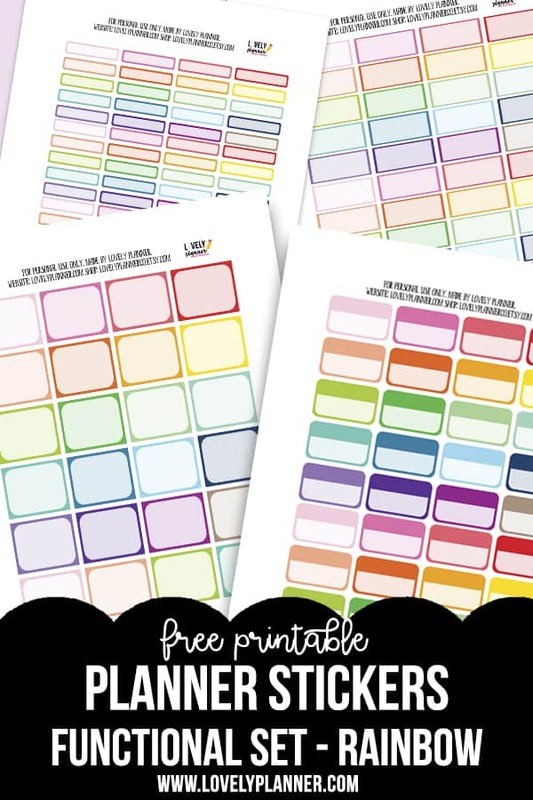 I’ve created several matching sheets of rainbow functional planner stickers: each sheet includes a different size of boxes that can be used to decorate your planner and easily blend with every type of decoration you may already have. 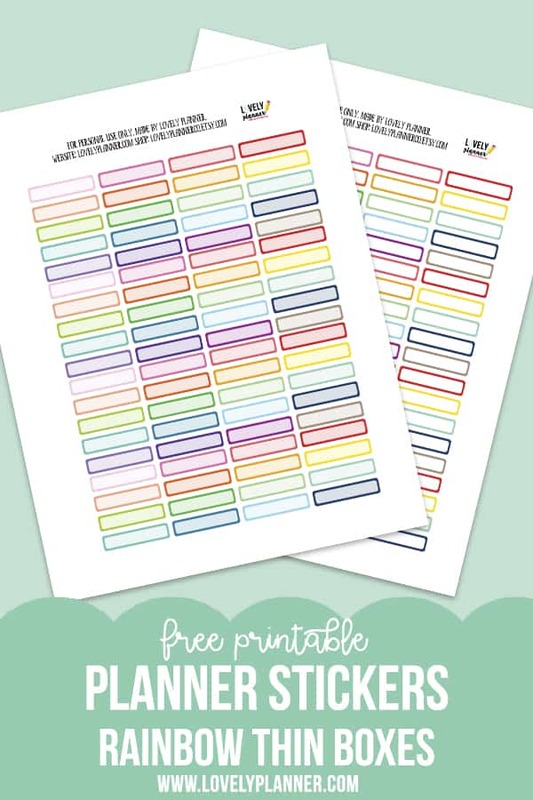 Today’s free printable includes ribbons / thin boxes that measure 0.35″x1.5″. I created it for my Classic Happy Planner but it matches most planner types. 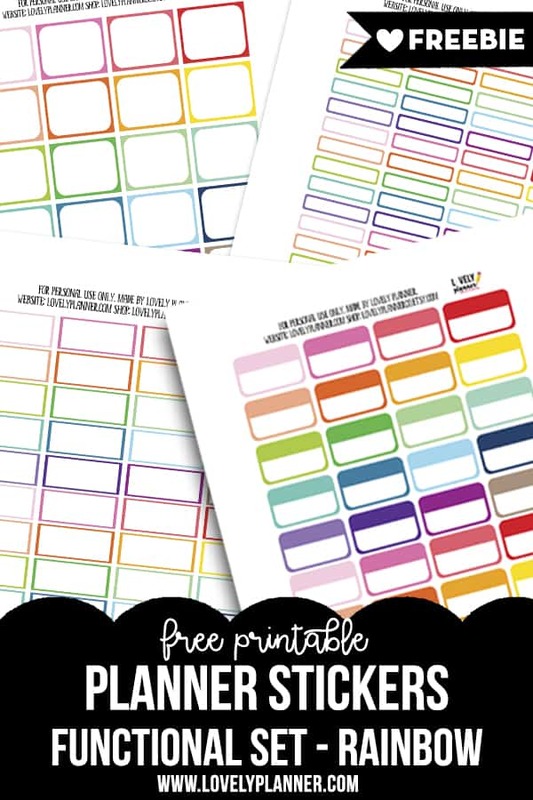 You get 76 stickers per sheet. 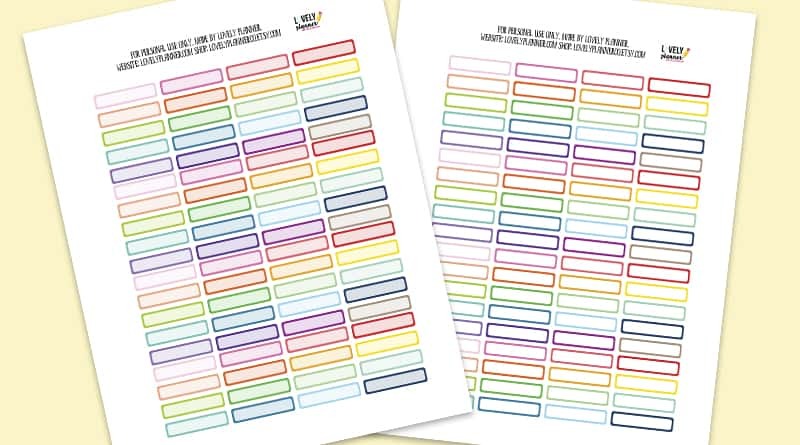 I’ve created each sticker sheet of this rainbow collection in 2 versions: with white inside or frosted inside (meaning the inside color of the boxes matches the outline). 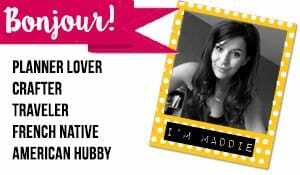 I’m including both so that you can pick whichever you like best. This printable is for personal use only.